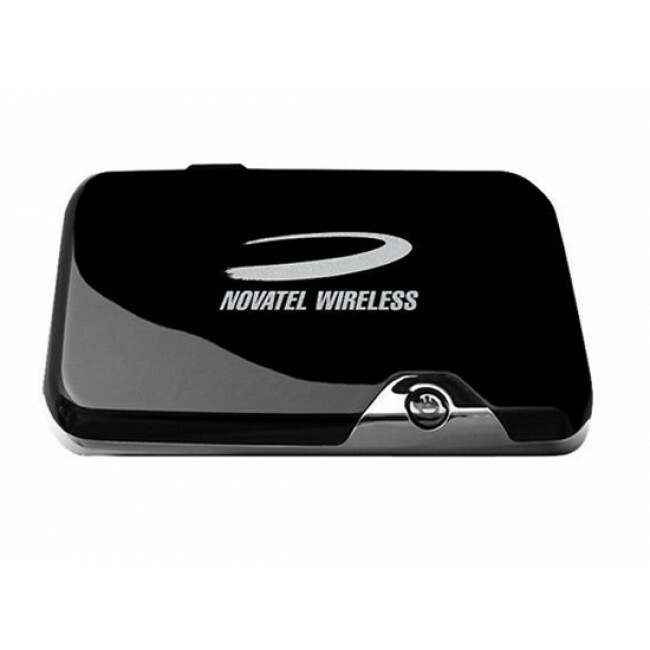 Novatel Wireless MiFi 3352 Mobile Hot Spot is a brilliant example of a new generation of devices for fast internet access. pocket-sized device combines high-speed HSPA mobile modem and 802.11g wireless WiFi access point . It represents a very interesting alternative to traditional wired connection to the Internet, it gives users the option of sharing a simple quick mobile 3G connection. On the Hot Spot Internet and consequently, it can be connected in parallel up to 5 WiFi wireless clients (laptops, smart phones, tablet computers, printers, cameras ...), completely independent of location. With the support of 3G transfer rates up to 7.2 Mbs all users enjoy fast mobile Internet connection. Itself is very simple , as only inserting a SIM card, the device turned on and in one minute you can have the first WiFi connected device. HotSpot Mobile has a built-in GPS module to support Location Based Services and an expansion slot into which you can insert a MicroSD memory card (up to 32 Gb ). Built-in battery to operate independently of the power supply (4-6h). The Novatel MiFi 3352 runs on a powerful operating system MiFi OS , which is managed through a web browser. It is available for a large number of applications and widgets, which significantly increase the usefulness of the device. The most interesting applications are: DLNA server that allows streaming content from the MiFi 3352 on clients connected and share files stored on a MicroSD card, SMS Messaging allows you to send SMS messages from all connected devices, GeoWeather the weather forecast for your current location. * MiFi DLNA Server allows streaming content directly from the memory card in the MiFi device to clients that connect to it. * Consumption data in real-time - there is a detailed statistics of downloaded data for all connected devices. * Connected devices shows the number of connected WiFi clients. * Sharing files - all data on the built-in MicroSD card is available to all connected clients. * SMS Messaging - send and receive SMS messages from all clients that have built-in web browser. * GeoSearch - location service, which allows you to view many interesting places around the unit. * GeoWeather - GPS application shows the weather forecast on the current or selected location. * Mobile HotSpot is a handy pocket-sized device that provides access to staple large number of users over a 3G mobile connection. * Built-in HSPA mobile modem. Supported upload speed (download) and 7.2 Mbps recording (upload) 5.76 Mbps. 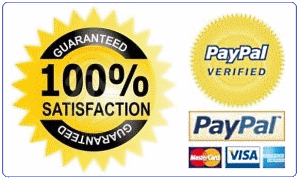 * Compatibility with EDGE, UMTS and HSUPA networks. The modem automatically connects to the fastest available mobile network coverage depending on the location. * Built-in 802.11g wireless WiFi access point , through which the HotSpot connects up to 5 wireless clients. * Extremely simple to connect to the internet, all you need to do is insert your SIM card, turn on the device and you can connect WiFi clients. no need to install special software. * The device runs on a powerful operating system MiFi OS , which is managed through a web browser. It is available for a large number of applications and widgets, which significantly increase the usefulness of the device. * Built-in battery to operate independently of the power supply (4-6h). Very interesting solution for environments where standard power supply can not be guaranteed. * Ultra-compact size of the device (dimensions 62 x 98 x 15 mm) and weight 81g. * Power is conducted via USB or mains connection. 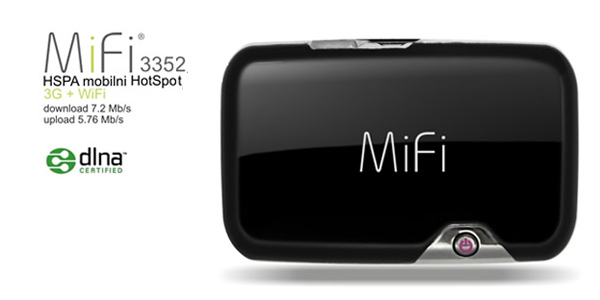 Just like HUAWEI E5 Pocket WiFi, Novatel also released series of MiFi hotspot, such as Novatel MiFi 2352 and MiFi 2372. They are similar to HUAWEI E583c Mobile Pocket WiFi and HUAWEI E5331 Mobile WiFi. 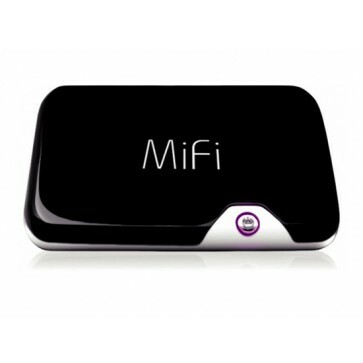 As the option for cheap pocket wifi, users could benefit from these 3G WiFi Hotspots.